Time zones are strange old things, especially the way they prescribe one time to thousands of miles of land mass—so this visualization shows which parts of the world experience unusually early and late hours of daylight as a result. 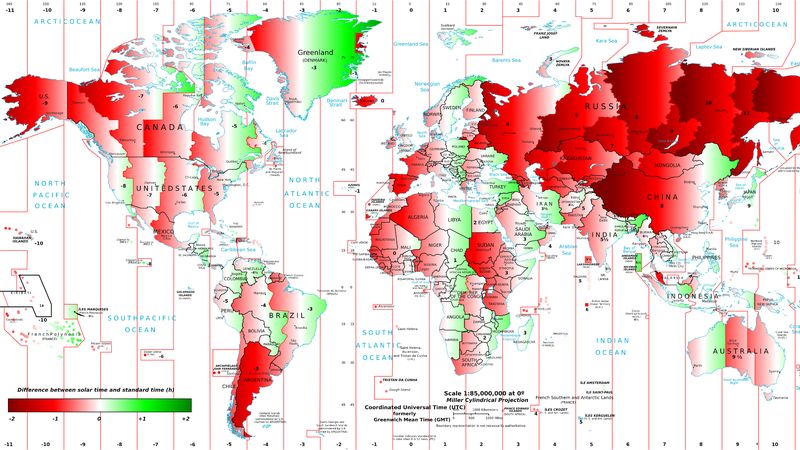 Areas in red see the sun rise and set late in the day; areas in green see it early. Obviously, the regions which are white sit centrally in the time zone in which they're located—the best example being London, through which GMT is defined.